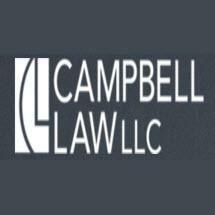 Proudly serving clients in the Columbus metropolitan area and throughout central Ohio, we offer dedicated criminal defense and appeals assistance at Campbell Law LLC. Understanding the emotional as well as the financial toll that criminal allegations may have on people and their families, our attorney works to achieve justice on their behalf, helping them protect their reputations and rights. Our law office accepts credit cards for the convenience of our clients. Even if they have had prior run-ins with the law, being charged with traffic violations, DUI or OVI, drug crimes, assault or other criminal offenses may cause fear and uncertainties for people in the Dublin, Ohio, area. Recognizing that their freedom, as well as their futures, may be at stake, our attorney aggressively advocates on our clients' behalf through each phase of the criminal process. Drawing on our familiarity with the criminal process and knowledge of the laws, we look out for our clients' best interests and help them to challenge the charges against them. During a free initial consultation, our attorney reviews the details of people's cases with them, taking the time to listen to their sides and to explain their rights and options. We work closely with our clients, crafting strategies aimed at helping them achieve the best outcomes possible to their cases. Our founding attorney at Campbell Law LLC began her career as a prosecutor, giving her unique insight into how the authorities prepare and proceed with criminal cases. Drawing on her knowledge and experience, our attorney has successfully obtained dismissals and pleaded down charges on behalf of those we represent. A results-oriented law office, we are prepared to take each case to trial in order to protect our clients' rights.